This generation, people are constantly busy with their smart devices, their networks and other electronics to stay connected even if they are not working. Thus, today’s home and businesses have more wireless signals floating around than ever before. SureCall is that company which backed up public’s longing for instant connectivity is the company by adding to its product line through the introduction of its all-in-one Fusion7 signal booster. SureCall Fusion7 Signal Booster Ensures TV, Phone & Wi-Fi Connectivity. In addition to its ability to strengthen 2G/3G/4G signals with 72dB of gain over 6,000-square feet, SureCall says its patent-pending Fusion7 also supports 2.4GHz 802.11 Wi-Fi and HDTV signals. The company also added that its latest signal booster solution not only provides cushion to PCS and cellular bands, including AWS and multiple LTE frequencies for AT&T, T-Mobile and Verizon, but also delivers 802.11 Wi-Fi connectivity and HDTV over-the-air signal capabilities. SureCall explains the Fusion7 incorporates its five-band cellular boosting technologies that augment 2G/3G/4G signals, and it provides the ability to support as many as 10 users simultaneously. In total, the product’s cellular capabilities provide up to 6,000 feet of coverage and up to 72dB of signal gain. In addition, when the Fusion7 is connected to an Internet router, the device can be used to boost 2.4GHz Wi-Fi signals using the same indoor antennas as the cell-boosting technologies to provide up to 6,000-square feet of network coverage. Moreover, the Fusion7 receives and boosts local over-the-air signals from networks such as ABC, CBS, Fox, NBC and PBS, and it can deliver these signals to as many as four televisions within a home. SureCall Force7 reveals its All-In-One Solution for Poor Indoor Cellular and Wi-Fi Reception. New Force7 Industrial is the first and only booster to offer triad of cellular, Wi-Fi and HDTV capabilities. This all-in-one signal amplifier is the first for large-scale commercial use, improving both cellular and Wi-Fi reception. With such great inventions, everybody believes to live the future with cellular. Boosters are the first step towards the new standard in how we communicate and receive information: virtually cord-free. In addition to boosting cellular data and having HDTV capabilities, the Force7 Industrial both boosts and extends Wi-Fi, answering a need we have heard from commercial integrators, especially for new and renovated buildings. The Force7 Industrial builds upon the award-winning capabilities of the Force5 to provide the added benefits of a signal extender, Wi-Fi booster, and HDTV capabilities, at the same price. It delivers a complete voice and data signal enhancement solution by employing SureCall’s patent-pending 7-band cellular technology, which delivers PCS and Cellular frequency bands, AWS, and two LTE frequencies for Verizon, AT&T and T-Mobile. It delivers the fastest data rates in the industry and supports over 100 simultaneous users. With a maximum gain of 80dB, the Force7 Industrial delivers coverage to areas up to 80,000 square feet, and offers adjustable upload and download gain for each individual frequency, making it the most customizable booster available. Additionally, the Force7 Industrial features a built-in Wi-Fi amplifier that improves and extends Wi-Fi coverage over a range of 50,000 square feet via the same indoor antenna. Users simply connect their existing router into the Force7 Industrial’s WAN port, and the booster provides an extended Wi-Fi connection in addition to the extended cellular coverage. This booster also serves as a router for new installations within the building, eliminating the need for additional hardware and installations. For those wanting to access over-the-air (OTA) HDTV signals in their area, such as ABC, CBS, Fox, NBC and PBS, the Force7 Industrial’s HDTV booster receives and amplifies all locally-aired HDTV television stations and delivers those signals to one or two televisions. A zip code search of OTA HDTV stations is available at https://www.tablotv.com/tools/. Like all SureCall boosters, the Force7 is covered by an industry-best three-year warranty. As an industrial booster, it requires carrier approval prior to installation by a qualified installer. 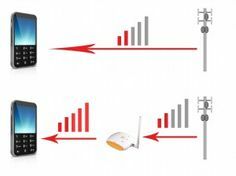 Want to improve Cell Phone Signal Reception in metal buildings? The problem is that the metal roof prevents microwaves from being transmitted from the cell phone towers as well as from the cell phones. There is no infallible way to avoid the annoyance of dropped calls, there are technological fixes available that allow for improvement in the reception and transmission of cell phone signals. An electronics store should be able to sell you a cell phone signal booster and an external antenna. This is the most effective method of treating the problem. You will have to connect power booster to the RF port of the cell phone. The cables should come with the power booster. The power booster will be plugged into an electrical outlet inside the building. Now, connect your power booster to the external antenna. The store where you bought the booster should carry the cable you need. Now, test it out by making a call. The signal should be at least ten times stronger than before, possibly even stronger. zBoost YX-510 Cell Phone Signal Booster Dual-Band Unit for Home or Office is one such product that helps in enhancing the signal. Extends phone battery life–uses less power when signal is stronger. You can fulfil all your cellular phone needs with the Wireless Extenders YX510-PCS/CEL zBoost zP Wireless Booster, which works with both cellular frequencies (800 and 1900 MHz) and can extend cellular coverage up to 2500 square feet. 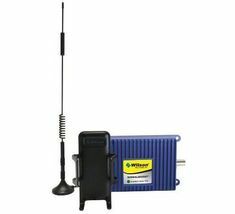 This unit can handle signals from all the major U.S. cellular carriers. 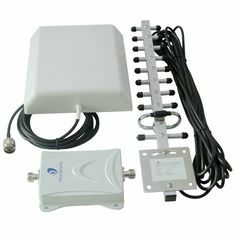 The package includes: amplifier base unit, power supply, base unit antenna, low-loss SATV coaxial cable (RG6), signal antenna and mounting hardware. The omni-directional signal antenna receives signals from multiple cell towers. Using a revolutionary, patent pending technology that protects the carrier network, the YX510 improves indoor cell phone coverage by capturing and repeating the outside signal, bringing it into the building and enhancing it. This process creates a “Cell Zone” in your home or office. A brew of both good and not too good buzz from the customers is ringing at the manufacturer’s ears. Well, most of the reviews are really amazing, in fact genuine and authentic. One of the customers switched from a Verizon cell phone to the Iphone 4 and AT&T. Coverage in their area, Sedona, AZ was not that great with AT&T. He was getting 1-2 bars and a few dropped calls with his new phone. But amazingly, when I went up on the roof, he discovered 5 bars on his phone. The very excited customer bought the Wilson unit and installed it as per their clear instructions, putting the antenna on the roof and the amplifier in my living room. It raised his bars in the house to 4-5 bars. Calls are clear and strong now. Most of the customers say if the signal is faint it will help a lot. Some only get 1x connection but without this they get almost no signal. On the other hand, there are handful of customers who are really not happy with the product. They find the product to be worthless as they find no signal improvement in their area. Nevertheless, huge numbers of customers simply love the product and find it to work the way they wanted and expected. Our excited customers are set to recommend this product to their friends and relatives. I think one need not go sceptical reading about this product. The signal bars definitely shows a huge difference from no signal to 1 Bar to 3bars-4bars. And that’s a remarkable difference for many who used to literally miss their important calls and texts. In simple words, the manufacturers give the customers the guaranty that it works as it is been advertised.